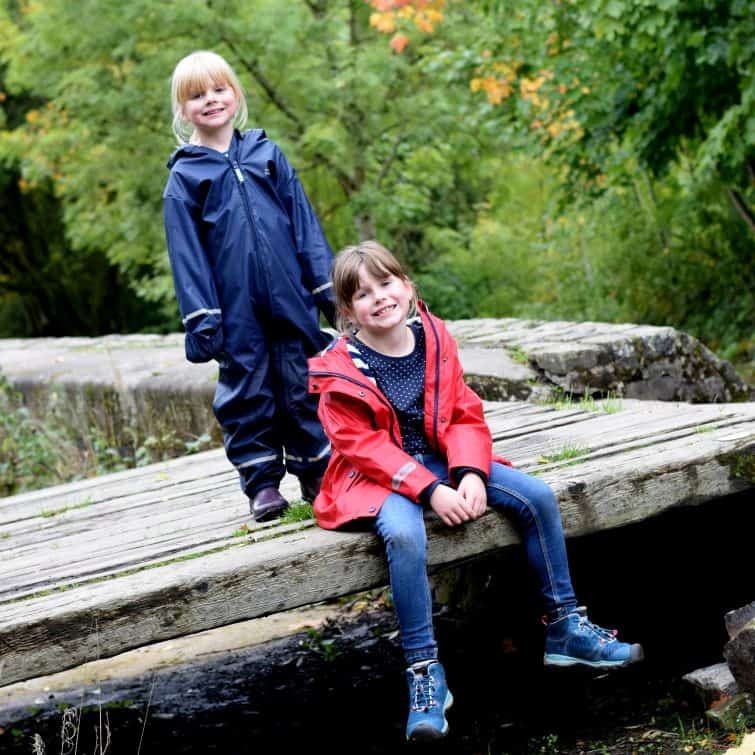 There is no denying that autumn is well and truly here now – October seems to have brought with it much colder temperatures and damp days. The leaves are definitely starting to turn and we’re starting to think about needing to wrap up a little more on the school run – I pulled a blanket scarf out for the first time yesterday and the kids have started digging out last year’s gloves to see if they can find a pair (they can’t . . ) and trying on last year’s coats to see what still fits! 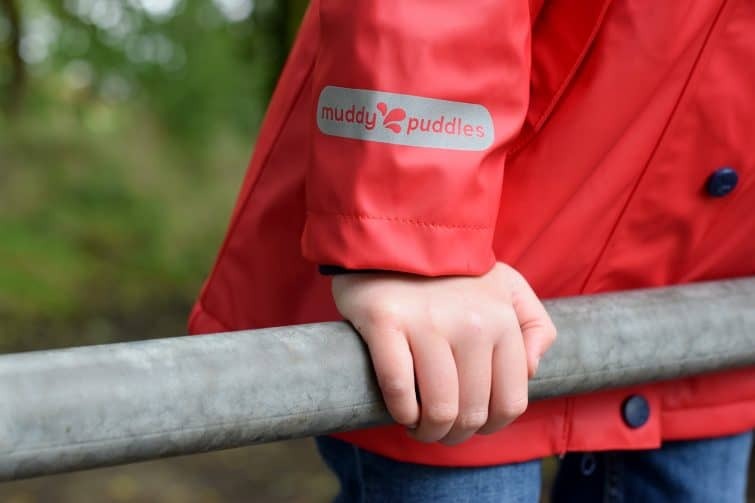 Chloe and Amy have recently received some gorgeous new outerwear from Muddy Puddles. 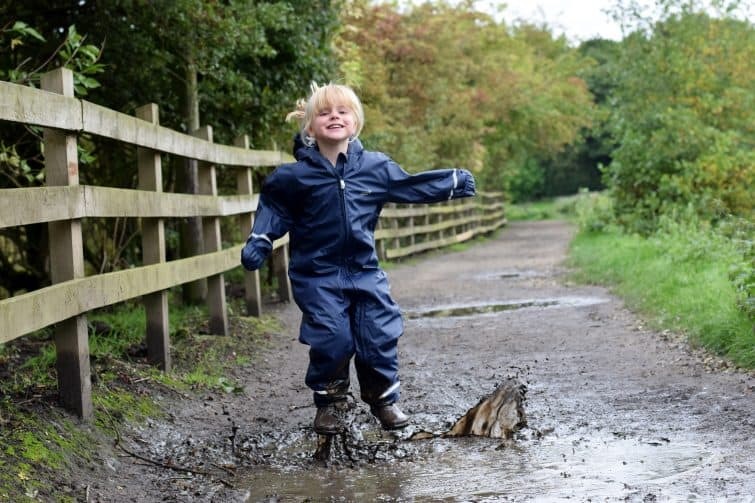 I first came across Muddy Puddles about eight years ago when we invested in a whole class set of Bib & Brace overalls for Early Years and promptly went off to order one for Ben who was then just a toddler. The Bib & Brace overalls were passed down through all three children and then on to another family to make use of them too! 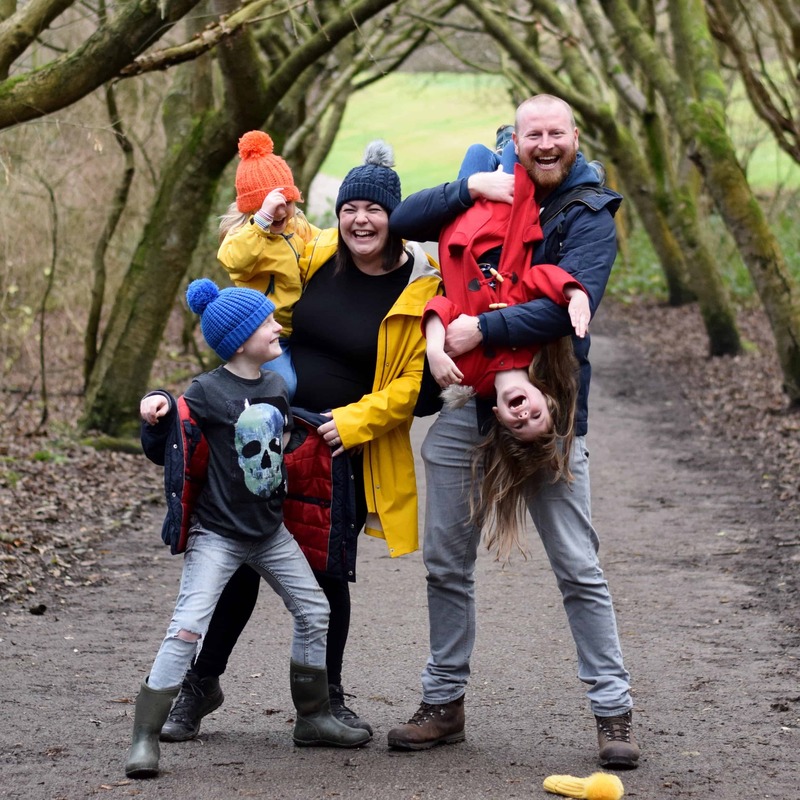 A few years ago we tried out some Muddy Puddles Puddlefleece trousers for Ben, and again they’ve been passed down through all three children and now Amy wears them every now and again. This year Chloe has a beautiful bright red Puddleflex jacket with a really funky chevron lining. The Puddleflex jacket comes in a choice of red, yellow or navy – which is basically all of my most favourite colours! 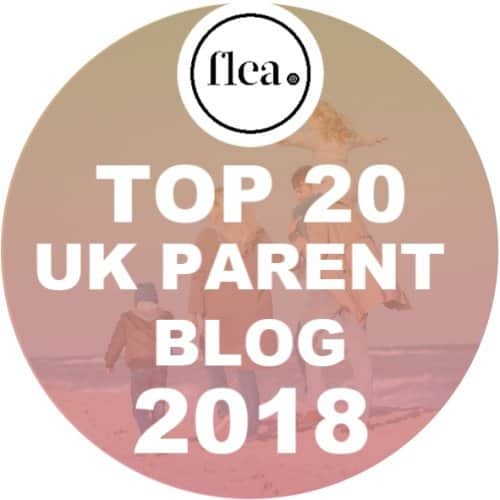 Much as I do love navy, when it comes to coats I try to stick to buying bright and bold – if nothing else it makes it much easier to spot your child in the playground on a damp and dreary morning! 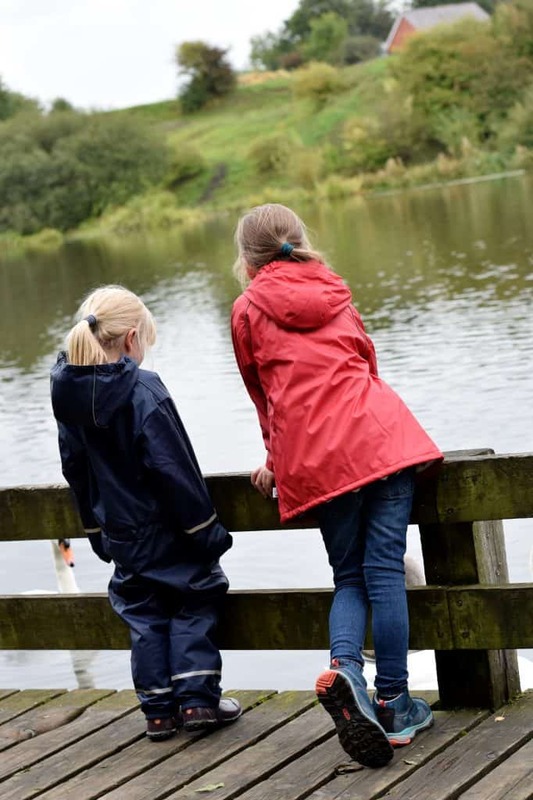 The Puddleflex jacket has an insulated fleece lining to keep your little one cosy as well as ribbed cuffs to keep the wind out – this is something I wish my own waterproof coat had! 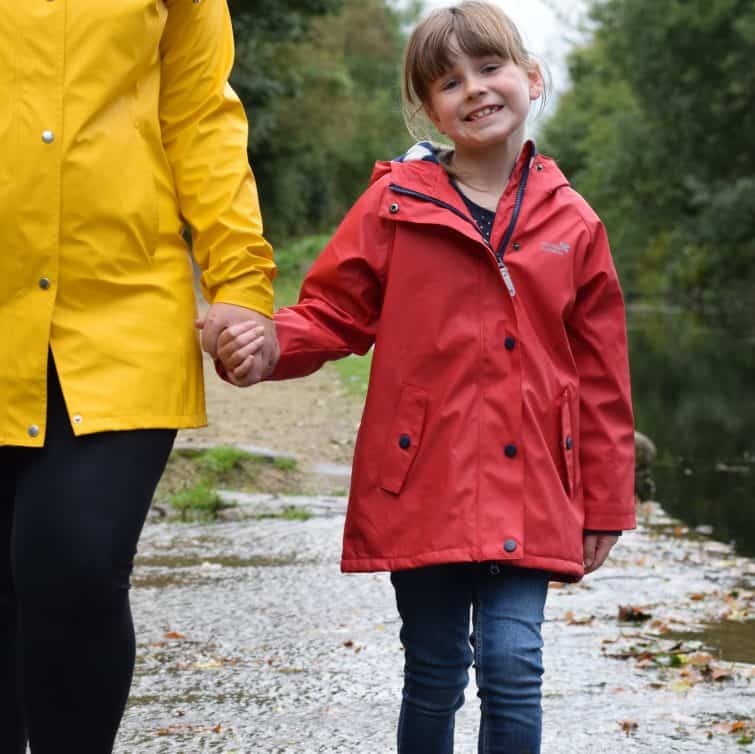 As you’d expect, the outer layer of the coat is hard-wearing and waterproof to protect your child from the inevitable downpours we will experience over the coming months. 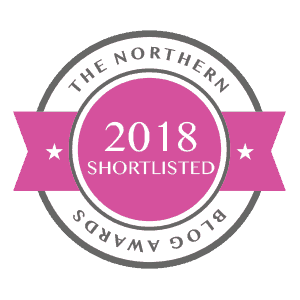 The lightweight nature of the jacket means that whilst it is super warm and cosy, it’s also perfectly wearable in the autumn and through those first chilly days of spring when you never know quite what the weather is going to do! I decided to go for something a bit different for Amy and rather than get her a matching Puddleflex jacket, I picked her a Puddleflex All-in-One in navy. Amy is not quite five but she’s pretty tall for her age so I’m tending to buy her age 5-6 clothing now to make sure there’s a bit of growing room. As such her Puddleflex All-in-One is pretty roomy but not so much as it stopped her exploring. 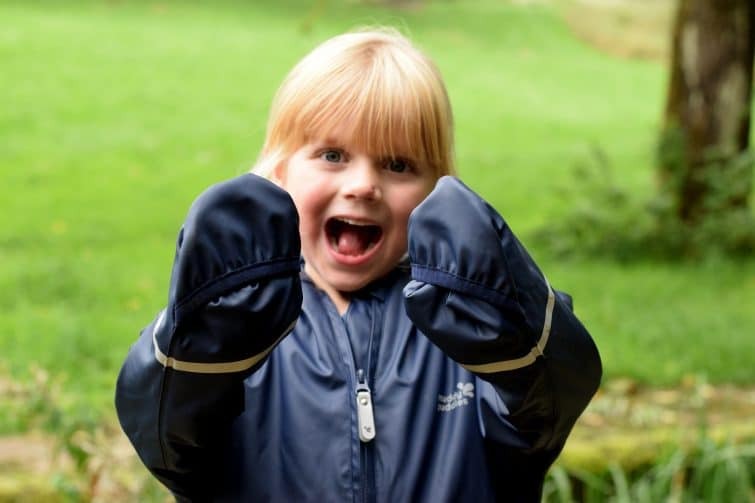 Like Chloe’s Puddleflex jacket, Amy’s all-in-one features a striped polar fleece lining through the top part which makes it super cosy and comfortable – we described it to Amy as being like a coat with legs! 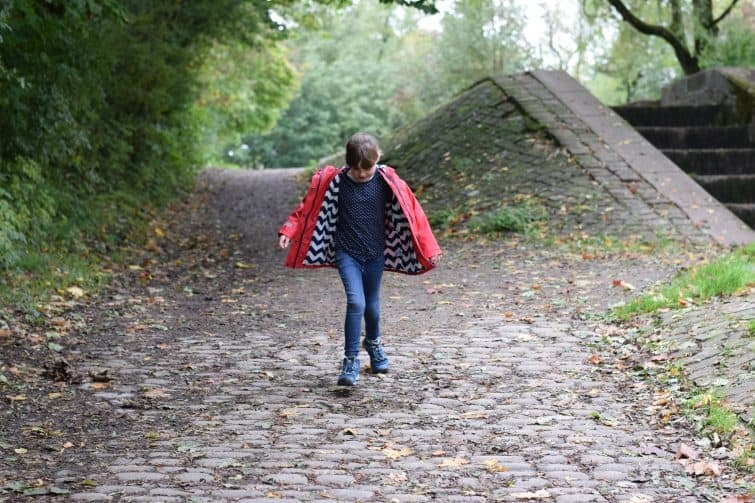 The flexible, soft fabric of the all-in-one is so far removed from my own memories of waterproof clothing as a child; stiff, noisy fabrics that were restrictive and just really not that nice to wear. 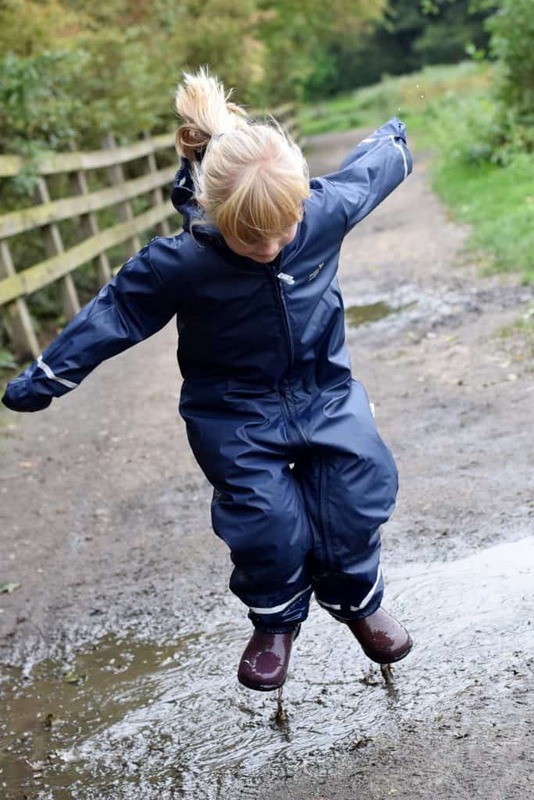 The adjustable elastic stirrups keep the trousers in place, meaning they don’t end up riding up the leg and also give added protection against water getting into your child’s wellies during some enthusiastic puddle stomping or a particularly soggy school run. This is the the type of outerwear that you need at this time of year. I love that red jacket, it sounds very cosy and warm. 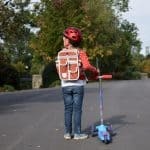 The all in one is a great idea for little one’s. The covered hands is a great idea. It saves losing gloves. These look really well made and weatherproof. I’m like you and try and buy bright colours for jackets where possible. I do it for safety reasons too. Black and navy can’t be so easily seen in the winter. These look great. 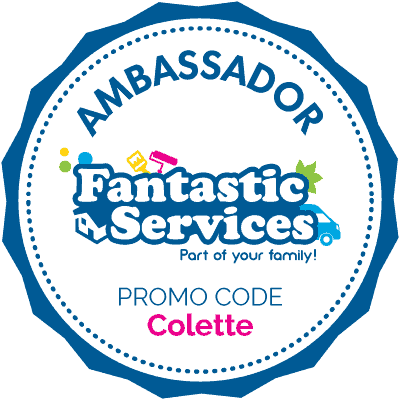 I should look at their site for my boys upcoming school residential as they need waterproofs for that.